Starting next week, Merrill Lynch will "stop sweeping cash from brokerage accounts into money-market funds and instead funnel the money into deposit accounts at a unit of its parent company Bank of America," according to AdvisorHub. That's a significant change because money-market funds currently are paying 1.75%-2.00%. Regular bank deposit accounts pay only about 0.25% — or even less. Merrill Lynch is following the lead of Charles Schwab and Morgan Stanley, both of which made similar moves earlier this year. Bottom line: The investor ends up with a lower return on uninvested cash and the brokerage firm (or its parent company) reaps a benefit. The bank pays you some interest rate on your "sweep" deposits, and invests your cash into higher-yielding investments (usually bonds). The bank earns a "spread" on the difference between the rate it pays you on your cash deposits, and the rate it earns on the investments it makes using your cash. This is called "net interest margin" or "NIM" in industry jargon. One-year U.S. Treasury yields are about 2.4% as of August 10, 2018. The bank sweep deposit interest rate in one of my accounts, with one of the top three retail brokers, was 0.22% (22 basis points) as of July 31, 2018. Although I tend not to leave idle cash in my account, that means the bank could take my deposits, buy one-year U.S. government bonds and pocket the annualized difference between 2.4% and 0.2%. If you think that's bad, the E-Trade sweep rates go as low as 0.04% for cash balances under $5,000. Meanwhile, the TD Ameritrade cash sweep account pays an almost imperceptible 0.01%! Fortunately, some brokers do offer higher-paying money-market fund options, but you must take the initiative to find out if such out funds are available and move your cash into them. A Schwab customer, for example, could move uninvested cash to the Schwab Value Advantage Money Fund (current 7-day yield 1.89%). A Fidelity customer could use Fidelity Money Market (currently 1.84%). A Vanguard customer could employ Vanguard Prime Money Market (currently 2.07%). Will most investors with significant uninvested cash make the effort to move their money to more productive vehicles? Probably not. 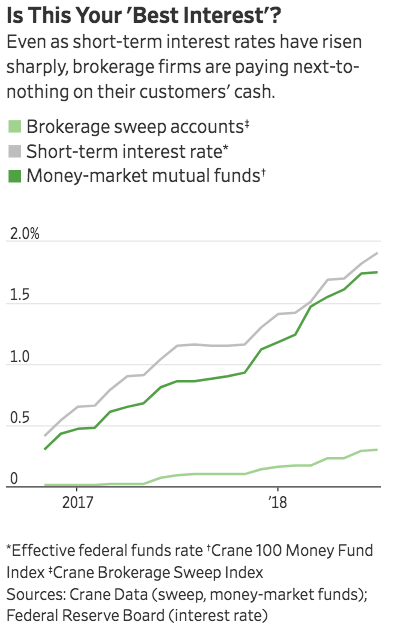 As blogger Josh Brown notes (in a post targeted to advisor-led clients), that's exactly what brokerage firms are banking on. You have to ask for the money market rate on your cash now. It won’t just be assumed. Your advisor has to specify. They're hoping enough accounts won’t get around to it, so they can pass on less and keep more. What about you? 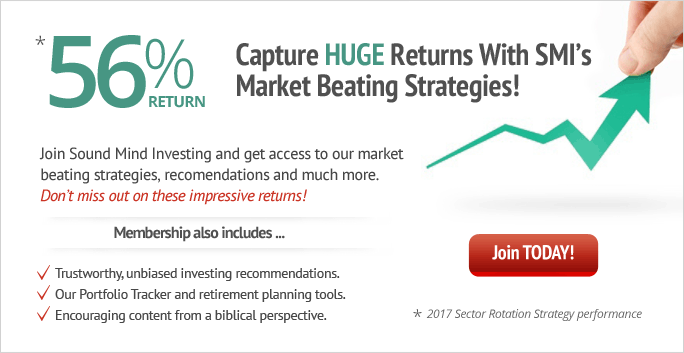 Have you sought out a better-paying holding spot for any uninvested cash?